Pinhole Big Issue of the North…. 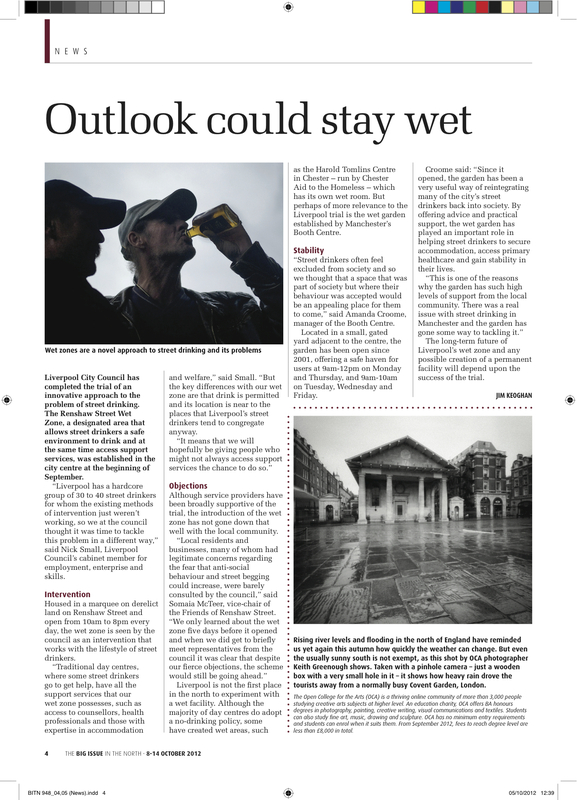 I have been lucky enough to have another photograph published in the Big Issue of the North…the rainy scene in the pinhole photograph I made of St Paul’s – the actor’s church in Covent Garden struck a chord given the current preoccupation with the wet weather and flooding in the North….it also presented an opportunity to ‘enjoy’ the fact that the softies in the South have also got some weather to cope with…. Interestingly the scene looks devoid of people except for a few standing under cover in the background. In fact quite a few people passed in front of the camera during the 90 second exposure….a touch of the Atget’s!! Another triumph Keith.The pinhole and rain are a very good match for each other. They certainly seem to be well matched….thanks for the support! !